“Summer time and the livin’ is easy …”, and soon it can be even more so. Why? Because for the first time ever we’re making it affordable to have reliable and secure remote visibility and control over many of the “Things” in our daily lives. Nothing speaks like an example: Remember the last time you put the week’s shopping in your car, left it for a minute, bumped into a friend, then returned to the car thirty minutes later to find your car no longer in the shade of the nearby building. Your groceries now melting as your car interior heated up to over 50 °C Wouldn’t a little warning message annoucing:“car temperature exceeding 45 °C” have been extremely helpful? Now, you might say: “Yes of course, but this is already possible!”. In other words, to generate real value out of connecting all the little things which surround us, certain enablers must be in place. Reliable connectivity regardless of your location, is paramount. We want to be able to switch on the sensor and forget about it for the next 10 years, confident that battery won’t deplete frequently and without warning. Last, but not least, most remote sensors should come at a consumer-friendly price tag. So, it appears that the perfect solution isn’t quite there yet…. Or is it? Nokia has been working on exactly this for some time now. And we call it: NB-IoT for Narrow Band - Internet of Things. To make it a truly affordable, reliable and secure connectivity solution for the Internet of Things, we’ve been driving it in 3GPP standardization with an emphasis on maximum reuse of existing LTE network infrastructure. With that there will be no need to build new networks. LTE network operators will be able to use their existing LTE networks and licensed spectrum, which is important in ensuring that the transmission of your sensors’ data is protected against interference from other radio systems. Reuse is also important, because we want you to benefit from the technology now and you certainly don’t want to wait until the next frequency spectrum auctions take place in your country. Leveraging the established LTE framework also ensures security, global interoperability and scale, which in turn will foster an affordable global ecosystem of NB-IoT connected Things. 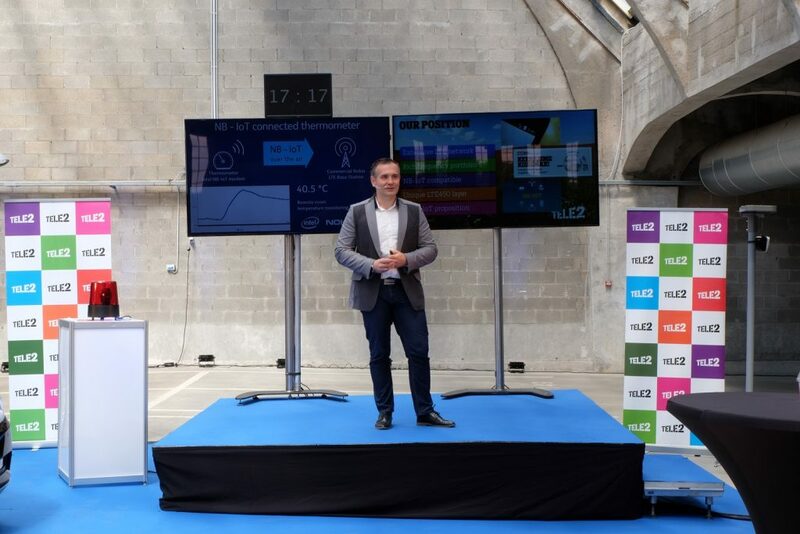 Last week, the standardization of NB-IoT was finalized and we celebrated with a live demonstration of NB-IoT together with Tele2 Estonia, using Tele2’s commercial LTE 2100MHz frequency spectrum and network. 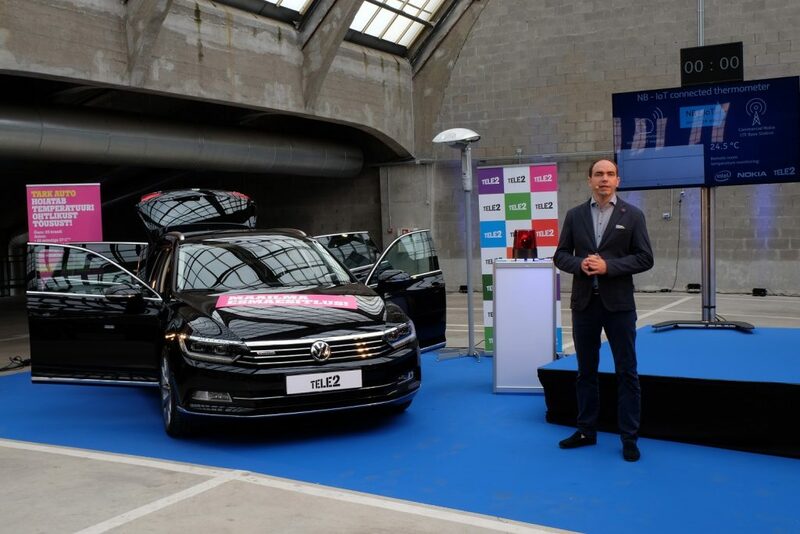 The event’s guests were among the first in the world to see a NB-IoT connected temperature sensor in a car, transmitting temperature data over the air to a nearby commercial LTE base station. For this purpose the temperature sensor was connected to an Intel NB-IoT device, which transmitted the sensor data to a commercial Nokia Flexi Multiradio 10 base station of Tele2’s LTE network, which was upgraded with NB-IoT software. “The live demonstration in Tallinn puts Tele2 and Estonia at the forefront of NB-IoT commercialization in Europe and worldwide,” says Ervins Kampans, CTIO of Tele2 Estonia. Learn more about NB-IoT on our website and watch our animated video to get a handle on LTE-Advanced Pro. Driving digitization in Europe – let’s pick up the pace!